Kirkland is Washington’s 6th-largest city, and sits on Lake Washington’s east side, across the water from Seattle, just north of Bellevue. 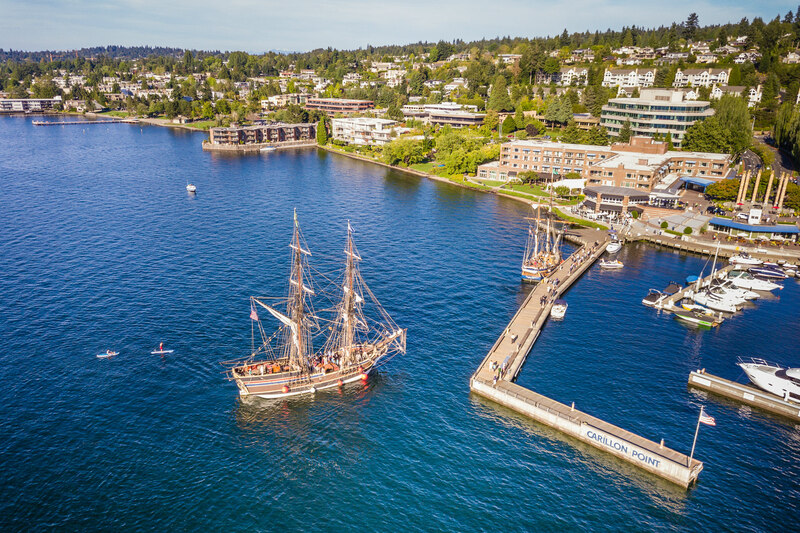 Kirkland is famous for its high-end real estate, stunning lake and skyline views, and quaint waterfront downtown area that faces west toward Seattle. Downtown Kirkland is full of art galleries, restaurants, and small shops, and has beautiful parks lining the waterfront. The inland areas of Kirkland are far more affordable, and offer numerous housing, education, and lifestyle options. Kirkland is bisected by the 405 freeway, which connects it to Bellevue and Redmond, and the rest of the Seattle metro area, beyond, making it a popular spot for Microsoft, Costco, and the many other large companies, based on the Eastside. Speaking of Costco, you might recognize the name “Kirkland” as that of the company’s in-house brand. Costco was once headquartered here, before relocating to nearby Issaquah.